Headed to Portland for New Year’s Eve? Maine’s most populous city seems designed for evening entertainment. From the bars to the farm-to-table-restaurants, from its waterfront wine-and-dine scene to its enchanting cobblestone side streets, Portland beckons. Heralding 2018 there? Here’s how we’d do it. Hedonism ahead, get yourself up and out of bed to exercise in that…erm, “fresh” air. 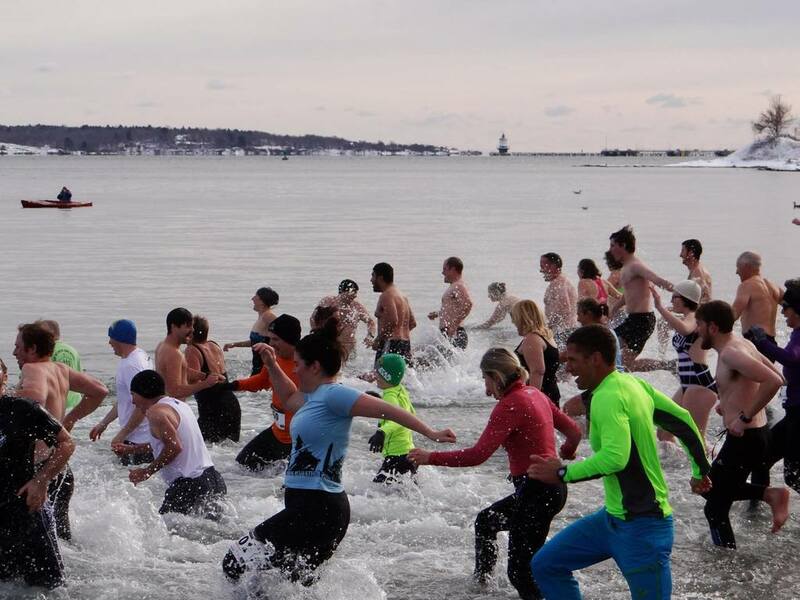 Portland’s annual Polar Bear Dip & Dash is a 5 kilometer run around the city, capped by a shocking plunge into the Atlantic Ocean. Registration starts at 9 a.m., the race begins at 11, and the polar dip starts at noon. Shuttle service returns participants back to the parking lot. Proceeds go to the Natural Resources Council of Maine, which works toward a clean energy future. After drying off, there are a few hours before things get going, so take things slow and explore the Old Port, the city’s commercial and creative hub. You’re hungry, so belly up to the raw bar with other high-end punters at Eventide Oyster Co. and refuel on oysters and a negroni. You’re within easy walking district of Fore Street and Exchange, where local shops offer handmade wares, craft beer, and everything else you could want. Guys who need to spruce up their outfit before the evening could do no worse than David Wood Clothiers, while ladies in search of that next accessory will want to see the Maine-made bags at Rough & Tumble. If New Year’s Eve is about splurging before next year’s frugality, there are few better ways to treat oneself than a farm-to-table meal. There are a number of places with such offerings, but the four-course dinner at Central Provisions is one of the city’s best, a culinary tour-de-force that ventures from mountain to sea to field with smart, impeccably executed service. With stellar craft beer and fine wine to match, you’ll have great food to enjoy during the fireworks. Reservations needed. Things are happening in Portland on New Year’s Eve, so consider trying one or all of any of the following. The pinball, first-person shooter, and other games are free with a ticket at Arcadia National Bar‘s annual bash, while Irish-themed Rí Ra is throwing their New Year’s Eve Black and White Party, where a middle-aged crowd packs the bar to rock out to your favorite nostalgic hits. If you’re in the mood for a tamer setting (if not stage), salsa maestro’s Primo Cubano are again playing at One Longfellow Square, giving you the chance to dance in the New Year. Want to be in the right place as you count down the seconds to until 2018? Consider a show dubbed “Paradise” by the Otherworld Circus, which promises “animal-themed acrobatics in a lush amazonian atmosphere filled with live visuals, non-stop primal electronic dance music, lasers, [four] bars, and fire performers at an upscale warehouse.” If that sounds too burlesque, the DJs are back for Music: Space Gallery, as “cosmic funk and soul” bands dish out the tunes to visuals and where you’re encouraged to “Embrace the unknown! 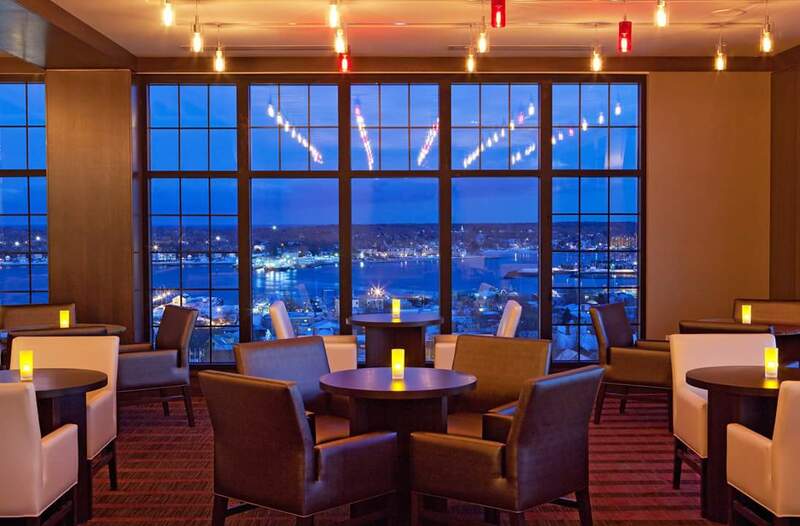 Relish the unpredictable!” But if 2017 was exhausting, and you just want a tried-and-true way to hail the New Year, consider the bar Top of the East, where the silky views of Portland’s harbor and a date to watch them are all the fireworks you’ll needs.